Two new junctions to improve a section of the A47. The consultation on our proposal to upgrade the A47 between Blofield and North Burlingham has now closed. Our proposals will create a new dual carriageway that will relieve congestion, provide extra road space, improve safety and help provide a free-flowing network. We’ll review and consider the feedback you've provided through the consultation. Where appropriate, we’ll use the feedback to make further refinements to our proposed design and development of mitigation measures. We'll then publish a consultation report. This will feature a summary of responses and will describe how our proposals have been informed by and influenced by them. This will form part of our planning application and will be available to the public following submission of the application. We expect to submit our planning application in spring 2019. The Blofield to North Burlingham single carriageway of the A47 connects areas of growing economic activity between Norwich and Great Yarmouth. The A47 corridor was identified as a key area in need of investment under the Roads Investment Strategy. The A47 currently experiences high levels of congestion especially at peak times. 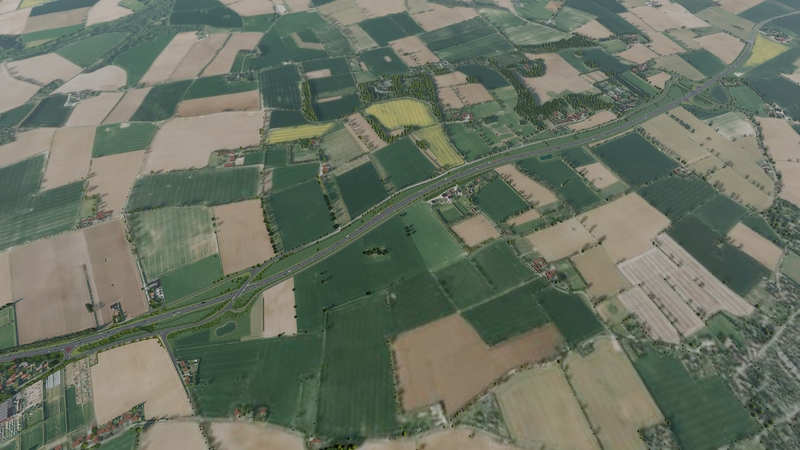 Our feasibility study on the Blofield to North Burlingham stretch of the A47 showed that this section of the A47 was currently operating at 108% (2011). These issues are only likely to be increased by further planned growth, including the ‘City Deal’ for Norwich. The Blofield to North Burlingham single carriageway of the A47 connects areas of growing economic activity between Norwich and Great Yarmouth. We're proposing a new dual carriageway to the south of the existing road, within 70m of the existing carriageway. There are two proposed junctions. The junction at the western end includes a link road going over the new route to connect the existing A47 with the Yarmouth road via a bridge. The junction at the eastern end is a new grade separated junction in the form of an overbridge to provide a north south connection between South Walsham Road and Acle Road. The guides below outline the procedures we follow when delivering large road schemes and how compensation can be claimed for the affects on residential, agricultural and other property from the use of new roads or alterations to existing roads operated by Highways England. If you have any questions or you would like to discuss your particular circumstances please contact the project team at A47BlofieldtoNorthBurlinghamRIS@highwaysengland.co.uk or call 0300 470 2700.